Will Sakho Case Spark Anti-Drug Battle in Football? Could Sakho's Suspension Spark a Fight Against Drugs in Football? Back at the start of April, The Sunday Times broke a story which sent shockwaves through the sporting world. They claimed that a private doctor in London by the name of Mark Bonar had prescribed drug programmes for a host of high profile sports stars in England, including EPO, steroids and human growth hormone. Alleged reports stated that some of those patients were Premier League footballers, although what was rumoured to be a list of suspects never came into fruition. Fast forward around four weeks on and we have a Premier League footballer suspended by UEFA for failing a drugs test. Of course these instances aren't related, but once again the sceptics have been glaring over as drugs cast a shadow over the game. Liverpool's Mamadou Sakho was handed down a 30 day ban by the European football governing body, with what is believed to have been some sort of fat burning substance. Whether one case may be fiction or not, its an indication that the attitude towards drugs may not be as vigilant as presumed. Drug cases in football have never torn the game apart and fingers crossed in the hope that things stay the same. The lack of high profile instances in the game's elite bracket is testament to the athletes. With that being said, no one knows what goes behind closed doors. With all rumours, take them with a pinch of salt. It remains pure speculation; but one that regardless of its truth some negative impacts are inevitable. With UEFA still to determine the fate of Sakho after opening a case, the ban may not be the last of it - it's going to be a tough time for the club and especially the player, with many dragging his name to the gutters. As per the usual Liverpool spirit, they will march on. But what's less reversible are the changes that could tarnish reputations beyond the club, the game itself. At this stage its reasonable to simply write off Mark Bonar and The Sunday Times' claims. The clubs accused responded professionally and left it at that, it would be incredibly unfair to label teams fraudulent at the hands of one man. Although its unlikely to surface, everyone is open to further evidence. But at this stage, leave it at that. The Sunday Times sold some newspapers and maybe that's it. However, while the cases are not linked, Sakho's suspension does show that drugs are an option at the highest level. They were reported to be fat burners, but some people just see them as banned substances. Perception of scandals like this sometimes eclipses the truth. Drugs and football remain a sensitive subject. Mamadou Sakho may be on the on the wrong side of a normality, we will find out over the coming weeks. But, no matter if it was fat burners or another banned substance, it was banned, and it was a "drug" - in an era where football is trying to move on from the scars that contaminated the previous years, its not the word anyone wants it to be affiliated with. Those who call for Liverpool to receive punishment may want to lay off, unless there is evidence of a link and knowledge of the team that Sakho was administering the banned substances. In the past, we haven't had many drug problems and there's reasons for that, its not really an endurance sport but with science so rapidly evolving, there's two things in a race here: who can slip under the radar first, before the more stringent drug testing catches onto them. In other sports, drug testing has now become a necessity. While its good to reverberate the clean sport from the inside out, its not the best look that you have to prow on athletes to find out of they are bending the rules or not. The future of drug testing may lie on this Sakho case as an example, clubs may begin considering a programme where all their athletes are tested. But for now, it remains speculative. The doctor's claims of doping many Premier League footballers should no longer be in the scenario, but what should is how football can continue to excel without drugs, and most will hope that Sakho's case was a one of a kind mishap rather than an underlying trend. 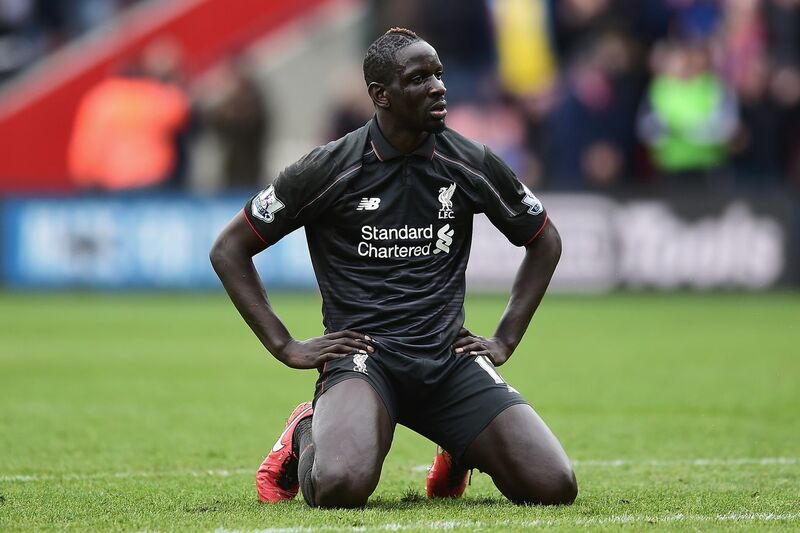 TheSportMatrix • We Live For Sport: Will Sakho Case Spark Anti-Drug Battle in Football? Mamadou Sakho was suspended by UEFA for failing a drugs test - will this affect football worldwide?